I have been playing around lately with several different graphics programs and trying out some new cool techniques. 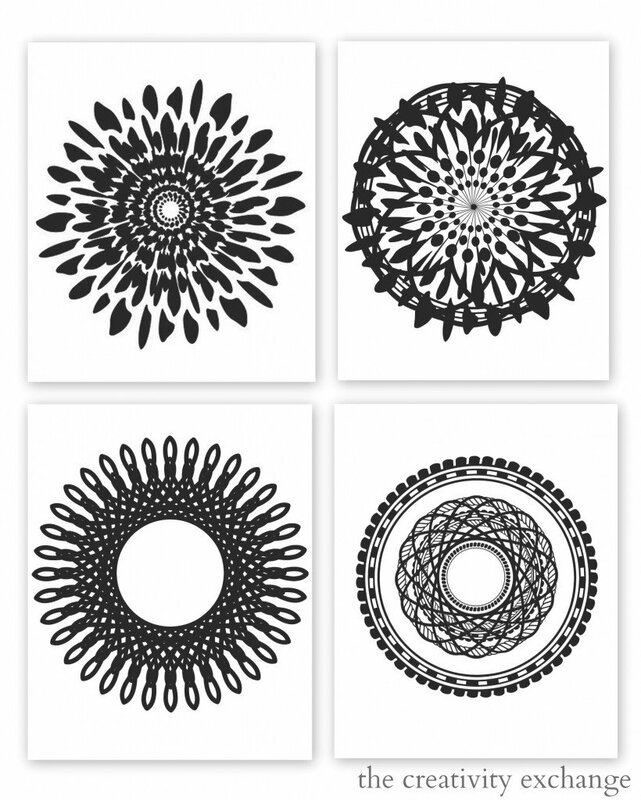 I am really getting into making graphic art prints for different projects and I created this collection of modern black and white Mandala-ish type prints for my hallway wall. I loved them so much that I thought you guys might like them as well, so I made them into free printables. 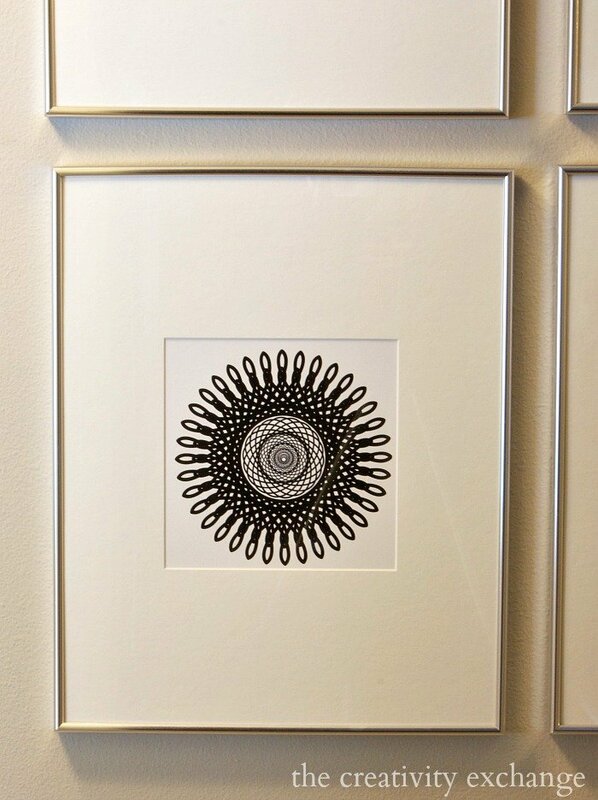 There are four prints in this collection and they are standard copy size of 8.5″ x 11″. What makes these prints so pretty in person is that I printed them on high gloss poster board sheets that I cut down to 8.5″ x 11″ to fit my printer. 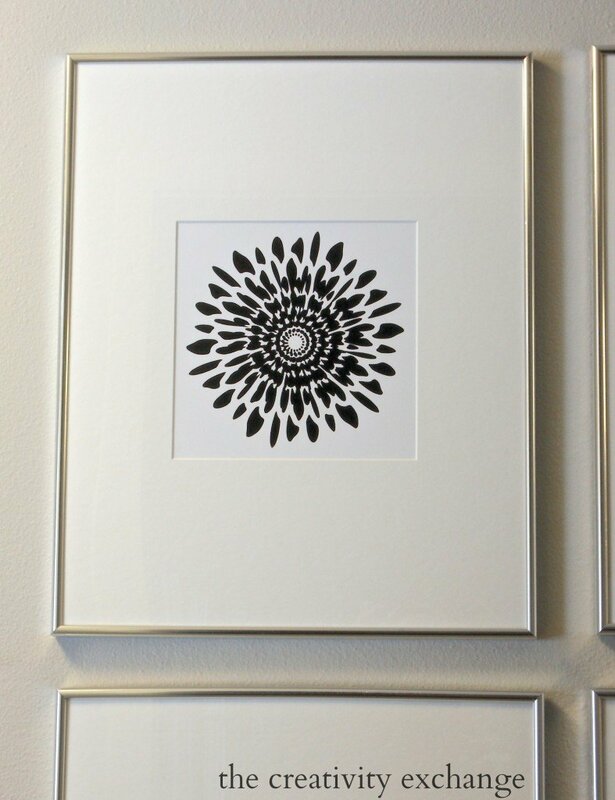 Modern black and white graphic prints are usually printed on higher gloss because the ink sits on top of the surface, which intensifies the ink and image. The shiny gloss finish, really stands out under a mat as well. 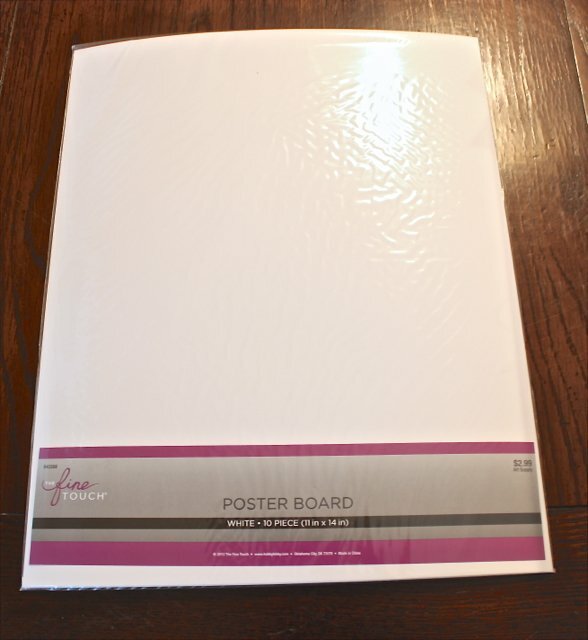 Card stock will work as well but if you’re looking for that modern graphic finishes, high gloss poster board makes a big difference and they look like higher end prints. Also, be sure and click on your printer’s “Best” quality settings, which will make sure that you get the absolute best print (go into properties or advanced settings at print preview). 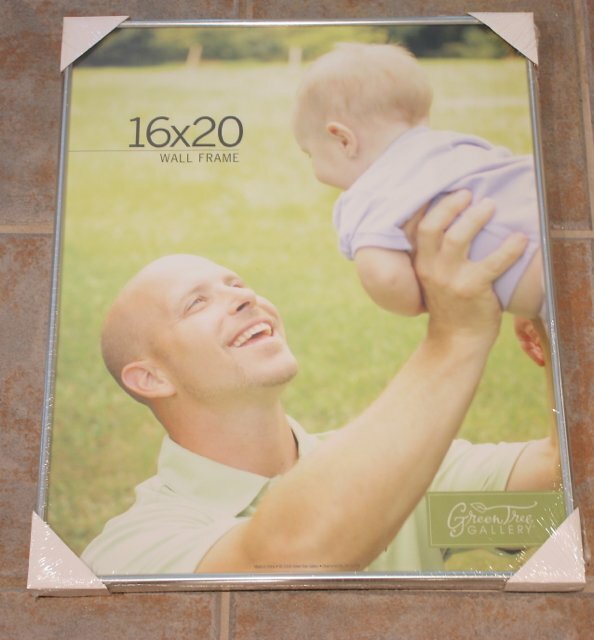 You don’t have to use a 16 x 20″ frame like I did, a smaller or larger frame would work as well. But again, you will have to use a mat with the print. So all you have to do to print is to click on the file for each print below and print. However, you have to have Adobe installed on your computer to open and print. If you do not have Adobe, you can download it here for free. Also, these prints are for personal use only and may not be reproduced/redistributed(Bloggers are of course welcome to share an image and link to this post). 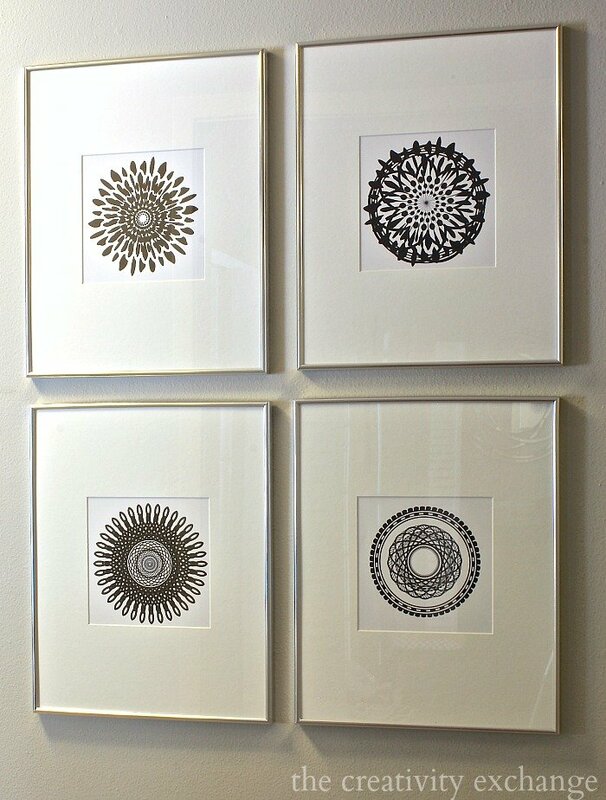 These prints were exactly what I needed in my hallway to add a statement. I just loved the way they turned out and I’m going to making some in color as well. If you guys are interested in a color collection, let me know in the comment section what color you think I should do next. I’ll do another collection in the most popular color suggested. Have a great day friends and enjoy this little collection! I would love to see these prints in Navy! These are just fabulous! They look like something you would purchase at Pottary Barn or Restoration Hardware! Thank you for sharing something so nice with your readers! I truly appreciate your generosity! By the way, I would like to see them done in a brown. In your first real photograph, the upper left corner graphic actually looks like brown (on my computer anyway) and it looks real rich. I love these! You are so NICE and generous for sharing your creations! I will enjoy viewing any color chosen, navy sounds good. The crispness of the prints makes them have a high-end look! 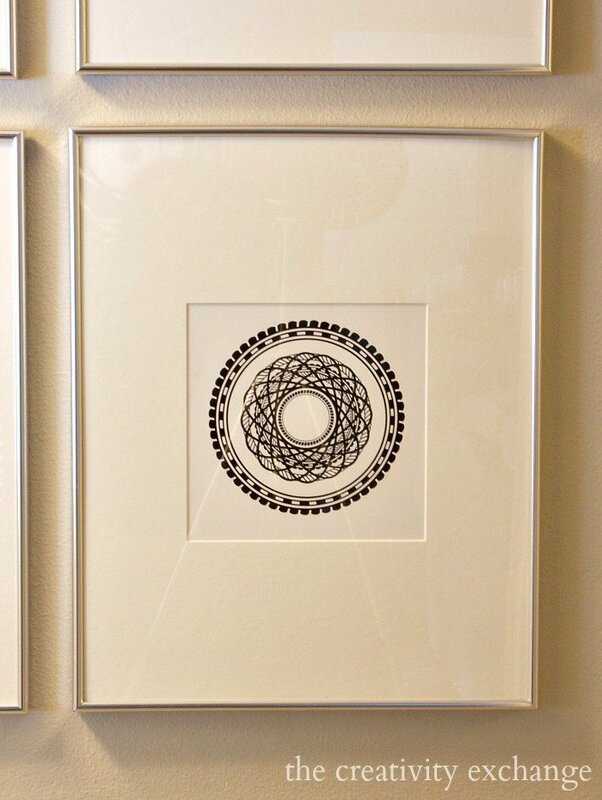 Of course, anyone who prints these and has them in their home will think of you every time they look at them. Thank you so much for sharing your beautiful prints. They look great in the grouping you put together. Thank you so much for these free prints! I am going to go out this weekend and buy some glossy paper for them. At first I was thinking they might look good in a bright aqua or coral or maybe even a bright green but they look so sophisticated in black. Btw what size is the opening on the mat? I would like to get the paper, the mat and the frames all at once. Thanks! You are so welcome! The opening ended up being 8-1/4 inches, however, I took the original image before I converted to pdf. There are very slight changes in pdf conversions and also, everyone’s printer may be off a very slight amount as well. It should be somewhere around that measurement but I would print one on copy paper and take with you just in case. I agree, a fun bright color would really pop! I can’t wait for you to see them all framed and up on the wall. They look so pretty! Thanks for your note Lynn! Thanks so much for sharing!!! These are beautiful. I agree, though-these would be fabulous in navy also! Very cool!!! Teal would be great!!!! Lovely, Cyndy! Would love some in turquoise! They are beautiful Cyndy, especially in the grouping together! Thanks for making them free for us to download! these are fab, thank you so much for sharing. I am so happy I found your site! Thank you so much Kelly! So glad you found me too!! Have a great weekend!! These are fantastic, Cyndy. Thank you so much for sharing the free printables. As for color, I love any blue just about: indigo, turquoise, the royal blue that is on blue/white Blue Willow dishes, I love coral, hot pink, bright green…I’m sorry I got carried away. Anything you do will be beautiful. I even think white on a black mat/background would really be cool with these you did above and mix them hung together – what do you think? Are you still using your same printer or did you get a different one? Thanks Debbie! Yes, I’m still using my HP 5510 wireless printer. Best printer I have ever had. I have run through thick fabric and pretty much anything you can think of and the ink always looks perfect. I can’t believe I haven’t broke it yet with the crazy things I have run through it! LOL! I would love to see these in most any color, but especially love coral, turquoise, yellow, and hot pink . They are gorgeous. Thanks! I think brown would be a great, rich color to do. Or I wonder about a dark gray or gray/blue. Thanks for these great printables. Oooh so beautiful in black! Next I’d love to see them in turquoise! Thank you for sharing with us! I’d vote for navy or teal. Cyndy your prints are beautiful! They remind me of The Book of Kells and celtic symbols and graphics, so interesting. You are awesome to share them with the world! 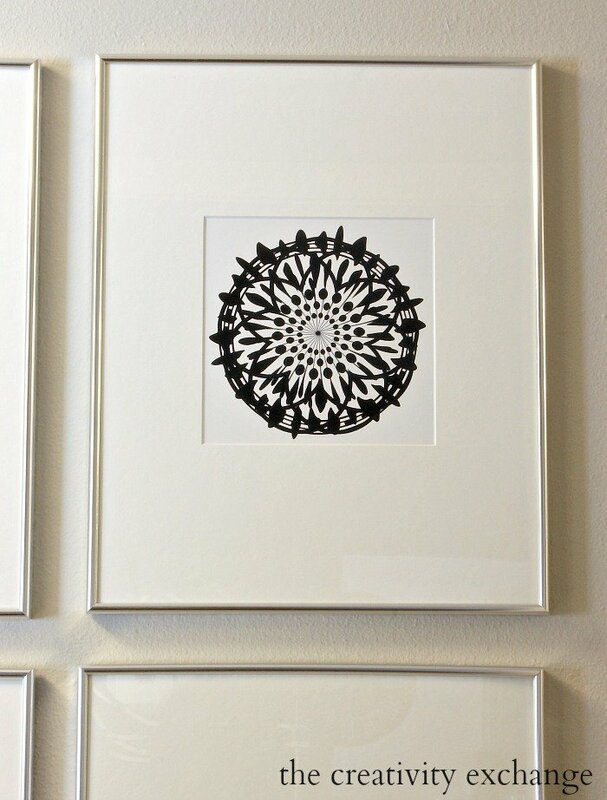 I love how you framed them with an oversized matte and grouped them together. Thanks so much for sharing them and linking up this post to Best of the Nest! These look amazing! thanks so much for sharing. I would love to be able to create images like this myself. If you don’t mind me asking, which program are you using? I just came across your awesome pictures. I don’t suppose they are available in jpeg or something other than pdf? wow! These are fabulous! Did you ever make them in color? where did you find the silver frames? I already had some photo paper at home so I printed the designs on that and they look great! We LOVE them. I love these, Cyndy! Found you through a Pinterest search and will be sharing these on my blog tomorrow for a budget bathroom makeover post. Thanks for the great tutorial! These are so cool. My vote is also for Navy! I keep thinking how neat it would be to print a “saying” wall art that could go in the middle, with your four prints surrounding its corners! And I’m in LOVE with the whole, black and white theme. I’m trying to figure out if I would have the words stand out in a different color, or just stick with the B&W theme. I think the B&W theme would still be the answer! And, I can’t leave without saying this .. Thank you, very much, for sharing! These are so great! I love them and want to hang them in my entry! There’s only one problem, the third one doesn’t match the images of the ones you framed. Please fix so I can have all four to hang!